Britain’s intelligence services may be deployed to hunt for traffickers who smuggle refugees on overcrowded and rickety boats into Europe across the Mediterranean Sea. Thousands of people have died attempting the dangerous crossing. Prime Minister David Cameron will also back an expanded EU search and rescue program, according to reports. He is expected to offer financial support and assistance from UK’s security services at Thursday’s emergency meeting in Brussels, the Times reports. EU officials are trying to find a cross-national response to the migrant crisis. The proposal to hunt down traffickers’ boats and destroy them is one of 10 plans to be discussed at the meeting. The British navy could be used to help in new “search and destroy” missions targeting smugglers’ boats. Some EU officials are comparing a possible response to the migrant crisis in the Mediterranean with operations to counter Somali pirates and to protect legitimate international vessels. While traffickers put desperate refugees on boats, what EU nations really ought to focus on is increasing search and rescue operations, experts say. 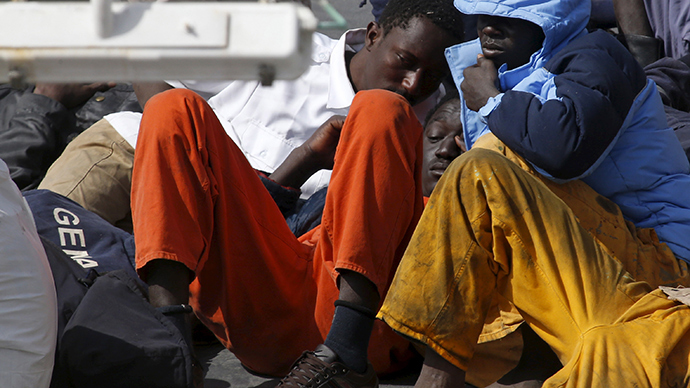 The UK government had last year ended its support for the Italian search and rescue program Mare Nostrum. Cameron admitted on Wednesday the attempt to replace the Mare Nostrum program with the EU’s much smaller Triton operation did not work. London Mayor Boris Johnson said the SAS could be sent to help the rescue mission and to tackle traffickers.